Is your property protected from others? Protecting your assets is key when planning for the future and for the majority of people their home is their main asset. There are a number of factors that could see your property falling into the wrong hands but one particular area of concern for many people now is funding residential care home fees. 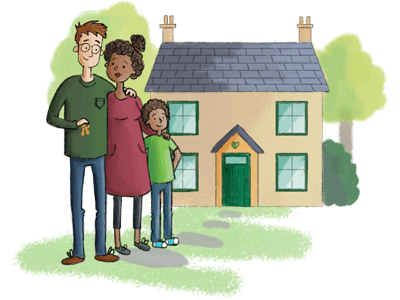 Should you or your partner/spouse require residential care, the local authority will assess both your income and assets (bank accounts, property, stocks and shares etc) to determine what (if any) financial assistance is available to you. With care fees from £20,000 per annum any assets you have may quickly become depleted. As stated above, any property you own will be taken in to consideration and the local authority can place a charge on your property to ensure they can recoup any outstanding fees. Local authorities are becoming more vigilant about schemes that give away a person’s home or other assets during their life time, especially if that person’s motivation in doing so is to avoid paying long term care fees. New legislation gives the local authorities powers to pursue those assets. However, where there is a will there is a way and with careful planning and advice a couple can make wills, while both partners are alive and mentally capable, that will protect at least a half share of their joint property. Wills can be made which provide that on the death of the first spouse/partner, their share of the property, instead of passing to the surviving spouse or partner, is held in trust for their children or chosen beneficiaries. A right of occupation would also be given to the surviving spouse/partner. That share of the property that is held in trust cannot be assessed by the local authority when considering the assets of the surviving spouse. This ensures that on the sale of the property or on the second death the beneficiaries will receive their inheritance. For this to be possible each partner must own a distinct share in the property capable of passing through their will. Most people own their property as joint tenants meaning that on the death of one joint owner it would pass automatically to the surviving joint owner. A simple Deed of Severance can be drawn up to convert ownership to what is called tenants in common so that each partner owns a distinct percentage share and that share is then bequeathed through their will. If you require any further information on this subject or, wish to discuss changing the ownership of the property from joint tenants to tenants in common, please do not hesitate to contact a member of our Wills and Probate team on the details below.